What to Look for When Buying a Dining Table? A dining table is one of the best gathering spots for all your loved ones including family as well as your friends. This very furniture which is a quite important part of your home, needs to be bought after many careful considerations. A dining table that is well-crafted and has a stronger base would ensure not only maximum comfort for you in the long run but would also become a focal point of your dining room. The interior decorators in Lahore suggest dining table designs in accordance with the home’s interior and its overall theme. There are many different things that need to be looked for when buying a dining table; the most important things are included in this article. The dining tables with glass tops are the most popular in the modern day. If we have a look at the contemporary furniture styles, we’ll be able to find a heavy usage of glass in each of them. Similarly, when it comes to dining tables, majority of the modern designs are made with glass tops. The glass top tables complement best with majority of the home interiors. There are many advantages of glass-top dining tables. They are made out of tempered safety glass that is unbreakable and smack proof. 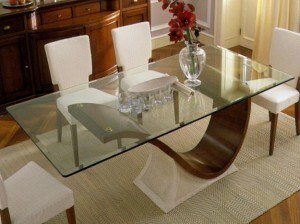 Besides, the heat and scratch resistant glass-top makes this kind of table the most popular choice in the modern day. Choosing the right dining table material is really crucial as it would determine the life of your furniture. The wrought iron dining tables are in trend all over the world because of their ability to sustain for long. Besides, the wooden dining tables are also a good choice if you intend placing them in the dining room and not in the kitchen, because wood requires a drier place to stay durable and intact. Do you live in your own home or you move quite often from one place to the other? In case you are living in your own home, you would probably not require transporting your dining table. In this case, you can also opt for the marble top dining table that is quite expensive and heavy. In case you are living in a rented place, you should always opt for dining table that is easily transportable. Even the glass top dining tables can be transported with special care yet there are quite a few transportable dining sets that come with lightweight chairs and foldable metal bases. What size is your dining room/kitchen? 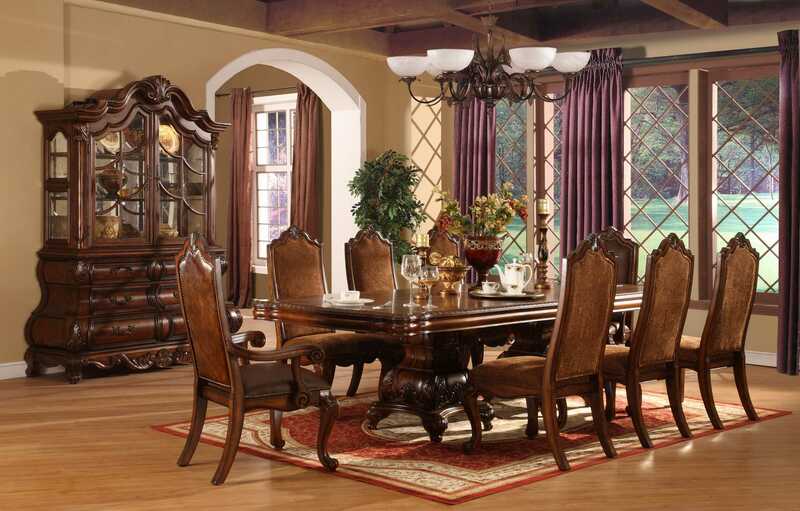 Before you pick just right dining table, you need to make sure that it can be easily accommodated in your dining room. Although, the round tables have always remained in trend for long and are popular in many parts of the world yet you need to make sure that the dining zone in your home is in square shape. The round tables are said to offer flexible and convenient seating option. Round tables with six chairs are capable of accommodating even eight chairs which makes them a good choice. Moreover, you should opt for rectangular or oval shaped dining tables in case your dining room does not offer sufficient space.